You may be able to tell from reading the blog that we don’t often spend much time North of Perth. There’s so many eateries there that we have yet to explore and where better to start then the newest brunch venue in North beach – Tropico! 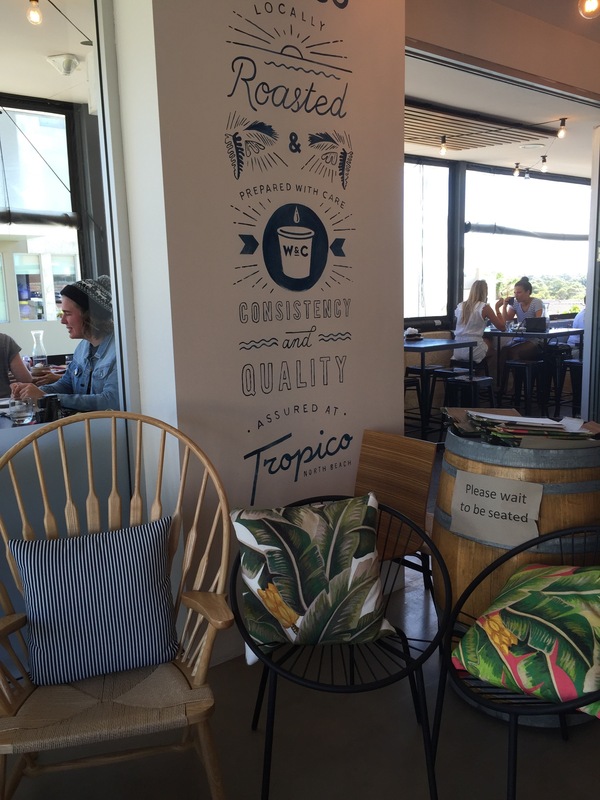 This is the iconic beach cafe, a street away with glimpses of the ocean, Tropico has an open and relaxed feel. They haven’t been open long and the staff seem to still be settling in but the venue has definitely harnessed the beach vibes. We started off the meal with a strawberry fields juice. 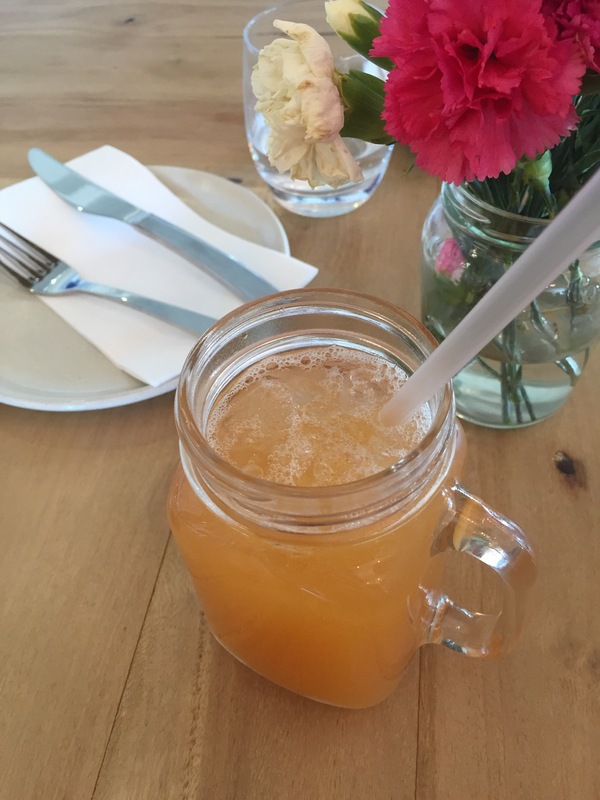 A light and refreshing juice with a pleasant sweetness, it makes a good option to cool down on a summers day. 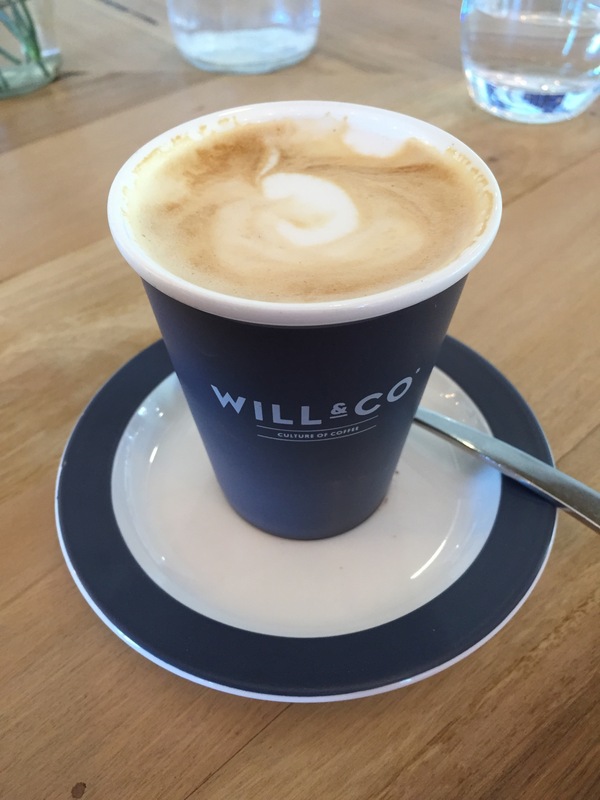 We were excited by the coffee at Tropico, given that it was locally roasted by Wills Domain. It was promising but just don’t work out, a bit got and burnt. We should perhaps try again when they’ve settled into their premises and machines. The menu is really interesting, there’s plenty of things to excite though most items are on the pricey end of the scale. 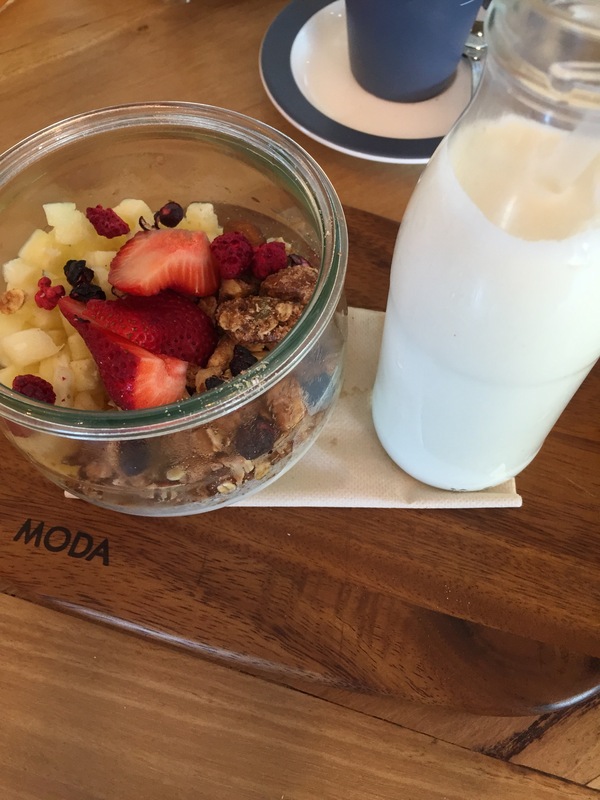 Our first dish was the sweet and salty granola, served with a pineapple shake. The dish really lived up to its name, the coconut panna cotta at the bottom of the jar was absolutely divine, perfectly set and a lovely surprise. There is the mix of sweet and salty you expect, and the pineapple shake was something really different. This was a wonderful and different breakfast dish. 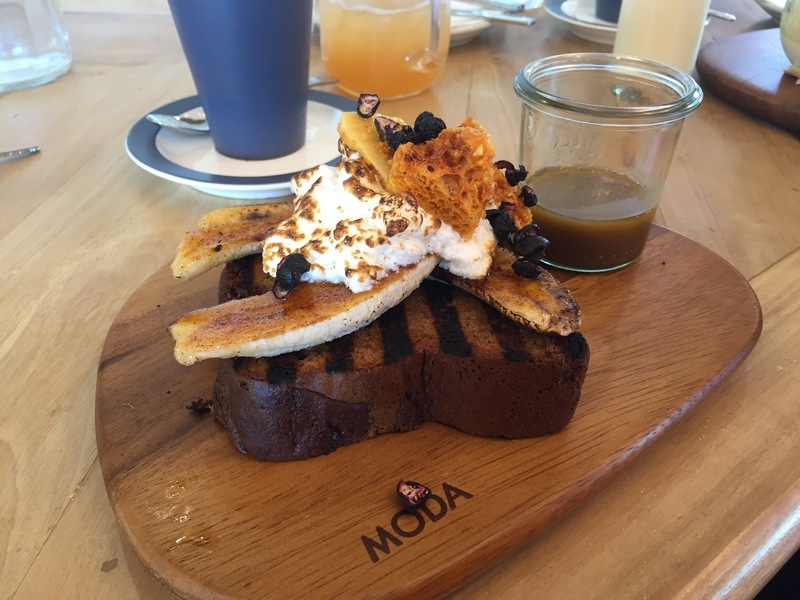 We also chose the banana bread with spiced banana, meringue, honeycomb and blueberry with a butterscotch sauce. It did sound like it would be very sweet, but the flavour was perfectly balanced. The meringue was fantastic, light and fluffy, while the banana bread was moist. All the flavours went so well together, and there was a pleasant mix of textures throughout. Though expensive for the size of the serves we were happy to pay for the quality and location. 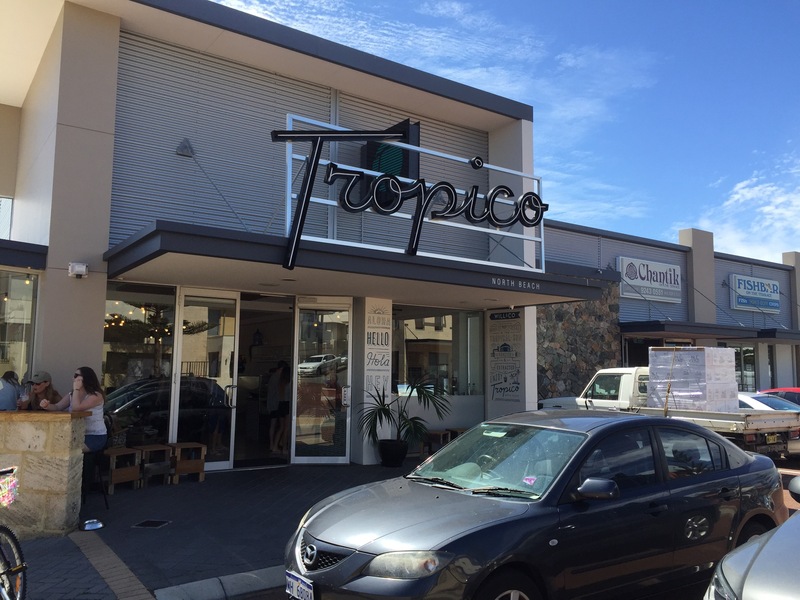 Tropico is a beach side hang out well worth visiting!